With the temperature set to be reaching the low 30’s in Kelowna this weekend for the first time in a while we thought it was only appropriate to layout some fun and useful ways to keep cool when the weather gets hot! 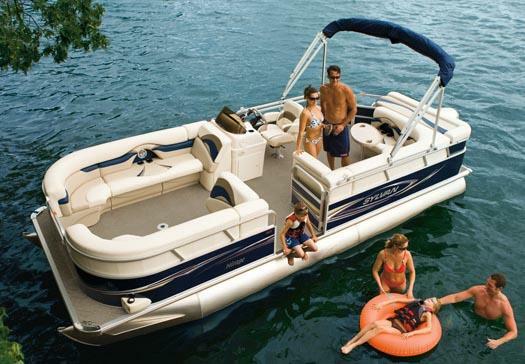 A pontoon boat rental is the best way to get all your friends and family together for an unforgettable time exploring the Okanagan. While on your pontoon tour you will see unparalleled views of iconic Okanagan landmarks such as Mission Hill Winery, Rattlesnake Island, and the W.R Bennett Bridge. Luckily the pontoon boat offers plenty of shade during the day, but if one is still unable to beat the heat, one can simply jump over the edge of the boat and be immersed in the all encompassing lake! Tubing in the Okanagan behind a powerboat is one of the most exhilerating ways to keep cool on a hot summer day. Whether you are pushing the limits of the boat, or putting yourself in a more comfortable lounging position, the tube offers something for everyone young or old. One can stay dry if they want to, but as long as the temperature stays up it is more than likely that the rider will find themselves in the water. The tube rider is in the hands of the boat driver, as long as two parties are on the same page, a good time is guaranteed for all! Nothing says committing to getting wet like water skiiing. More often than not, it starts in the water and ends in the water. Again, the person driving the boat and the person being towed need to work together to make this work. It may appear quite challenging, but as long as the driver has the skier lined up and ready when the throttle is dropped, the skier will be out of the water in no time with hair flowing in the wind and a smile on their face! Instructions on how to get out of the water on skis to follow.